The Shepparton Harness Racing Club conducts racing at the Kialla Racing Complex approximately 40 times per year predominantly at night. Thirty of these meetings are the Clubs own events and the remaining ten are meetings hosted for the Wangaratta, Kyabram and Mooroopna Clubs. 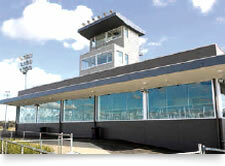 Geographically the club is centrally located to the racing and breeding industries and since 2004 the industry, State Government and Greater Shepparton Council have invested in the order of $5 million to significantly upgrade the racing track, construct a new dining complex and develop an undercover stable complex. The Shepparton Club now boast facilities more than comparable to any other provincial club and enjoys above state average performance in terms of racing entries and patron attendance. In recent years the Kialla Complex has seen the relocation of Shepparton Greyhounds who race twice per week and this development has seen a further $6 million invested in the site which makes Kialla the newest and most impressive racing complex in provincial Australia.